It's that time of year again where we start planning our Christmas shopping. We're making lists for all those in our lives, noting whether they have been naughty or nice. I'm one that does some early shopping and then some super last minute, so I get a nice blend of relaxing and hectic shopping! I've already received some emails about holiday gift ideas, so I thought the timing was right to start compiling some clever gift ideas! November is a great month to start since there are so many sales on both sides of the border. 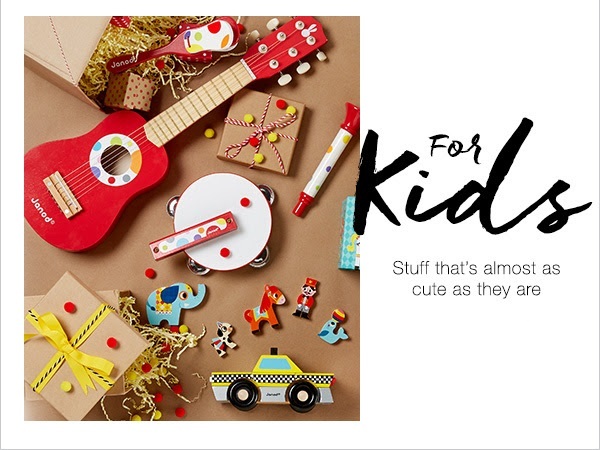 You can find all sorts of gift ideas for the home, the kids, him or her, under $50 and under $100 in separate posts. So start browsing, shopping and get #wrappedup! I hope you find these helpful and if you're looking for something, shoot me an email, I'd love to help!